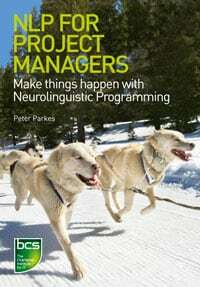 This is a guest post by Peter Parkes, author of NLP for Project Managers. I recently found myself walking away from a project and used an NLP technique to help identify the root cause of my decision. At the same time I identified some lessons for leadership styles for project management. A lot of NLP originated out of the language patterns observed in therapy, and one of the contributors was Fritz Perls, the originator of ‘Gestalt’ therapy. Although we can organise events along a time-line, we also tend to group events according to association, where the association is sometimes lost from the conscious mind. Often we are not reacting to the most recent event, but the history of events, or cumulative learning. Have you ever found yourself over-reacting to a situation and wondered why? While the emotion is still fresh, it can be used as an open doorway to identify the initiating event. The Time-line technique, accredited to Tad James, enabled me to study the initiating event in this situation without emotion. Without going into the touchy feely aspects of emotional response, I draw out some lessons in leadership styles and behaviours below which I found to be at root cause. As a background to the project, it was an assignment on performance management through behavioural change. A group of very capable consultants was brought together with extensive experience of change management, behavioural change, performance management, facilitation, and blended learning. The client was intelligent, very clear in their desired outcome, had beautiful behaviours and was a dream to work with. As the contract was bid and awarded as a fixed price, the lead consultant assumed a role as project manager. General management theory says that leadership styles can be considered in six types: Directive, Pacesetting, Affiliative, Participative, Coaching, or Visionary. As I described in my talk to the Women in PM conference in June on ‘Re-thinking Project Leadership’, the latter four styles are described by Daniel Goleman, author of Emotional Intelligence and Primal Leadership, as ‘resonant’, in that they build energy and capability in the team. The Directive style, which is also known as ‘authoritative’ or ‘command’, is appropriate for chaotic or turn-around situations. It is, however, described as one of the two discordant styles. Over time it reduces energy and capability in the group. Why do you think that would happen? The project team I left was indeed discordant rather than resonant, and the products of the team were not ‘greater than the sum of the parts’. What style do you think would have been the most appropriate for this assignment given the resources at hand? Understanding the events and the situation help you apply the right leadership style. However, you can’t have leaders without followers. Keith Grint, in the Oxford series on Leadership, focuses on ‘Followership’, which is especially relevant in situations without formal hierarchy. He asks the question, why would someone want to follow you? 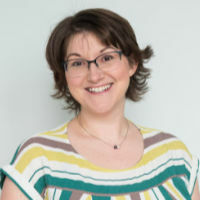 A survey by the Chartered Management Institute reported that most managers rated themselves as having a Coaching style, whereas most employees rated their managers as being Directive. How do you think your team would describe you? More to the point, do you know how to flex your style? Let us know in the comments. 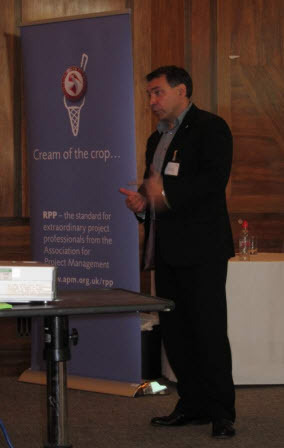 Peter Parkes, FAPM, is the author of NLP for Project Managers and Director of consultancy firm Peak Performance. He is a Master NLP Practitioner, a trained coach and mentor. He runs NLP training courses to address the shortage in competence-based training for project managers, which aim to balance the popularity of training in method and process. Peter, one more question – I like the cover photo for your book. Could you tell us a little about how you chose it? Usually “mush dogs” look like they are up to their chests in deep snow, but these dogs are gliding along in the sun! Jeff, I must admit that I fought the publisher to get the cover changed. The original had a larger frame with the guy on the sled cracking the whip and the full pack in view. I asked if he was ‘Pavlov’ the PM and these were his ‘team’ of dogs (Pavlov’s dogs. get it? ), or whether the lead dog was supposed to be the PM and Pavlov was the client giving him a whipping. They cropped off the lead dog and the musher. In terms of ‘world views’, that of the second dog now shown is not great. But most people like the picture of the doggies anyway, so maybe I will put a pair of fluffy kittens on my next one and call it something like ‘Soft and Fluffy’: Delivering projects with a smile and a kind word. It is Friday afternoon here. And there was me thinking it was all about team work, pulling together in the same strategic direction, and all that! I went dog sledding in Sweden and it was a very cold experience, but we also had bright sunshine and packed snow like your book cover picture, and that meant the ride was smoother than I expected. Hi Peter, enjoyed your post on NLP for PMs. Coincidentally, I am listening today to Malcolm Gladwell’s “Blink” on audio, and a section reminded me of your discussion of the “Directive” style. Gladwell cited a medical research study where surgeons were audio-taped speaking with their patients. The tapes were analyzed for vocal qualities, and then used as a predictor of which doctors would be more likely to be sued for malpractice! According to the study, the surgeons who tended to speak in a “dominant” tone consistently proved much more likely to be sued, compared to those who spoke in a more “concerned” tone. Any thoughts on this?